InterVision dubbed 2019 The Year of Effective Transformation in our Technology Predictions eBook. In the eBook over 20 experts outline what changes and disruptions they believe this new year would hold. Two of the contributing experts join Jeff Ton on this episode of Status Go to expand on their predictions and explain a little more about how they arrived at their conclusions. Michael Bushong, VP of Enterprise Marketing at Juniper Networks, discusses the repatriation of cloud workloads, offshore oil rigs as a model for modern IT and the diminishing importance of specialized industry certifications. Paul Clement, Director of Automation Services at InterVision, examines how technical debt is inhibiting digital transformation and automating security within public cloud. 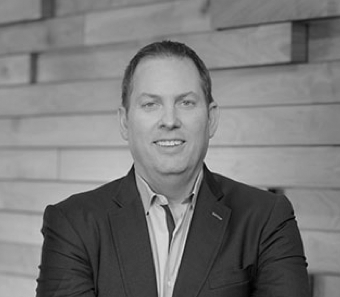 Mike is Vice President of Enterprise Marketing at Juniper Networks. Mike spent 12 years at Juniper, in a previous tour of duty, running product management, strategy, and marketing for Junos Software. In that role, he was responsible for driving Juniper’s automation ambitions and incubating efforts across emerging technology spaces (notably SDN, NFV, virtualization, portable network OS, and DevOps). After the first Juniper stint, Mike joined data center switching startup Plexxi as the head of marketing. In that role, he was named a top social media personality for SDN. Most recently, Mike was responsible for Brocade’s data center business as vice president of data center routing and switching, and then Brocade’s software business as vice president of product management, software networking.